Products include an official UGP and collegiate licensed hologram tag. Any products that do not have these tags are counterfeit. Show your Iowa Pride in this great Licensed T Shirt! 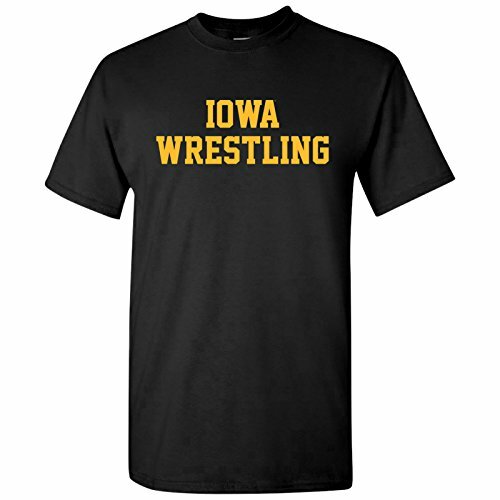 Machine washable (We suggest you wash inside out for a longer lasting print).Cheer on the Hawkeyes Wrestling team and show off your Iowa Pride in this tee. Great for Christmas gifts, birthdays or just to treat yourself to a great graphic tee. 100% Satisfaction Guarantee, Available in S - 4XL This tee runs true to size and is pre-shrunk. If you have any questions about this product by UGP Campus Apparel, contact us by completing and submitting the form below. If you are looking for a specif part number, please include it with your message.